You are here: Home \ Community \ Featured Posts \ Whats Up With Homecoming? It’s that time of the year again, Falcons! 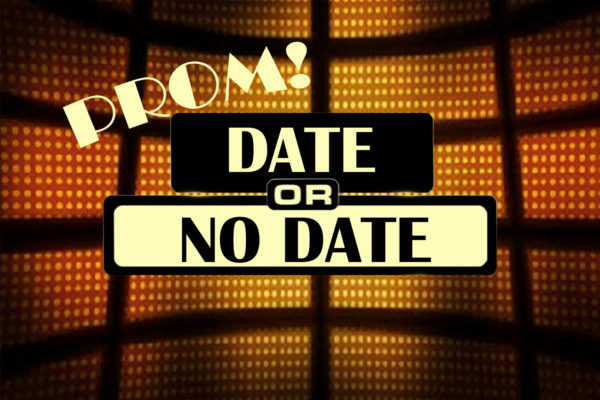 Freshmen excited for a new experience, sophomores ready for their second take, juniors cherishing their first dance as upperclassmen, and seniors saying a farewell to their final high school Homecoming. 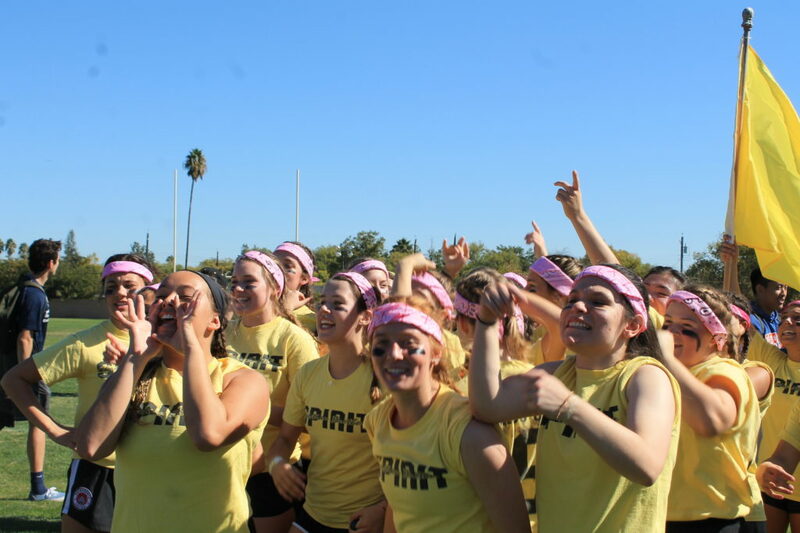 The Class of 2019 senior powder puff team celebrating their first dub of the year against the sophomores. Football games, homecoming week, powder puff, and rallies all lead up to the upcoming dance. As the great community it is, Christian Brothers takes homecoming to another level, providing a opportunity for students to come together to celebrate a exciting time in a students high school career. 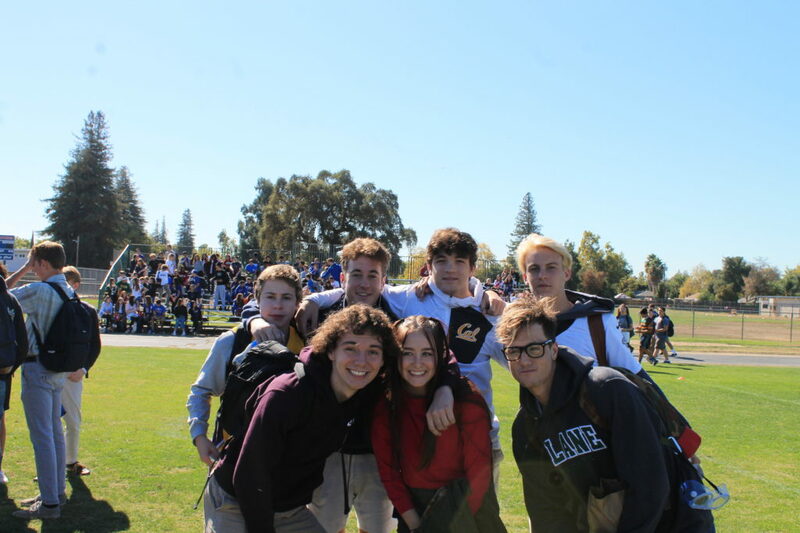 This special time in October proves to hold a special place in the students hearts as dressing up, taking a break away from the stress of school, and coming together for a exciting time helps to create memories on the Christian Brothers campus. But what makes Christian Brothers homecoming experience different than others? 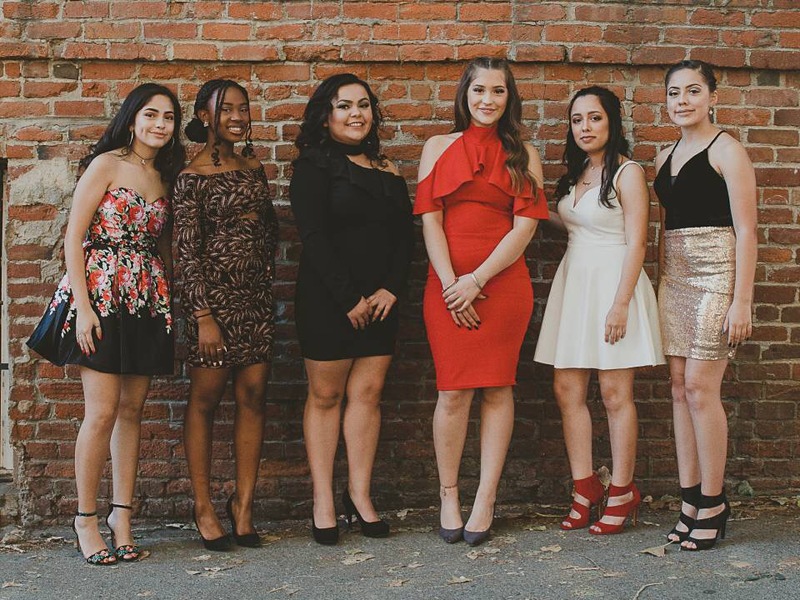 Photo of Gaby Inclan (’20), Khaliya Muhammad, Lesandra Gutierrez (’20), Perla Fonseca (’20), Gabby Bermingham, and Cynthia Vasquez (’20) at last year’s Homecoming dance. This year, Student Council is providing a great homecoming week including Blue and White Day, Angels vs. Devils, Cowboys and Aliens, and Jocks and Nerds Day. Make sure to show your CB spirit and contribute into the exciting week. 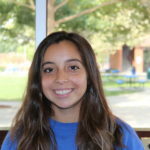 “I am looking forward to seeing all my friends in their dresses and suites and dancing with my friends,” Katie Phipps (’20) says. Homecoming is one of the only times of the year where students are allowed to dress up and express themselves through dresses, suits, accessories, and makeup. 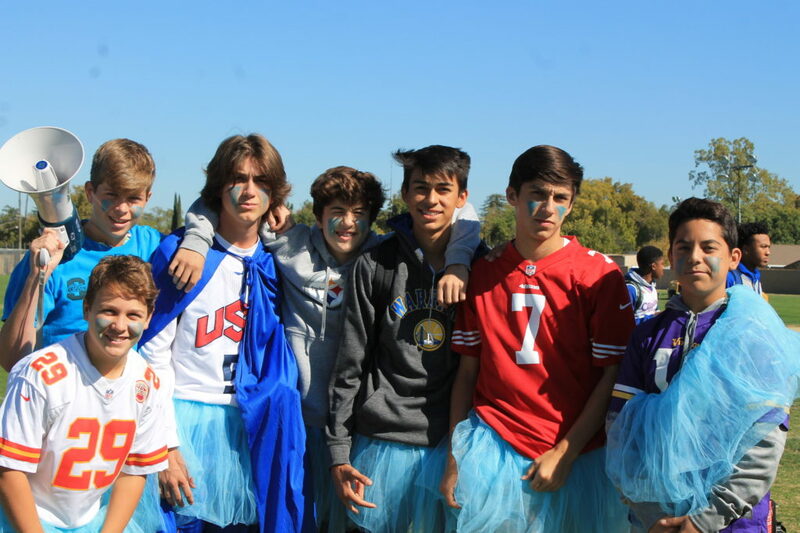 Eli Stern (’20), Clark Jacobson (’20), Luke Jones (’20), Hunter Dierlam (’20), Patrick Pierson (’20), Marissa Galvez (’20), and Sam Noonan (’20) supporting the Junior powder puff team during all school lunch. Unlike just homecoming week and dressing up for the dance, Friday night’s football game will be playing a major role to the homecoming experience. Make sure to come and support your fellow Falcons as they take on Del Campo Cougars Friday night at 7 PM at Sacramento City College Come pinked out and ready to hype up our boys to get the homecoming dub! 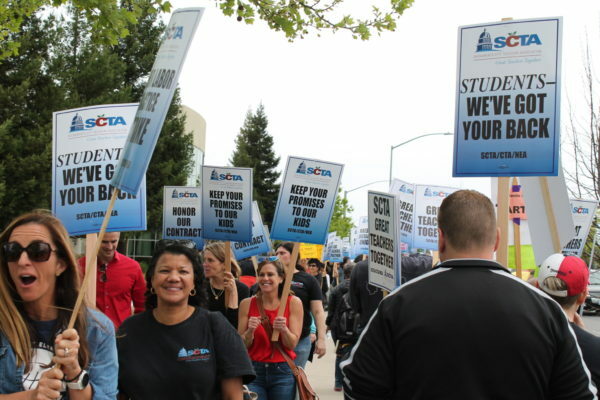 Without homecoming, and all the additions that come with it, students would not be able to live through a time in their high school career where their academics are not the priority, but instead come together as a community and spread school spirit. The Christian Brothers community, unlike any other highs school, supports and brings to life homecoming by being involved in all school activities, and making sure to give the most effort throughout the week.